The Full Moon on July 19th: 5 Fabulous Things to Do - As Long as You Avoid Werewolves! We have a special full Moon occurring on July 19, 2016 (6:56 pm ET). It's called a "Full Buck Moon," and if the skies are clear in your part of the world, you'll be able to see it. It called this name, because it is the full moon rising and setting at the time of the year when male deer, known as bucks, typically begin to grow their new antlers, starting with velvety bumps on their foreheads. Just think of Bambi finally growing up. It's also a time when we humans can grow and accomplish our goals and dreams. Many of us may be asking: what's so unique about the full Moon? Well, it's a time of super charged energy when the Sun and Moon are in opposite signs of the Zodiac. This creates a "yin and yang" of solar and lunar harmony. During the previous New Moon we may have conceived of ideas or become vaguely aware of our desires. In fact, we may have had miraculous epiphanies of the things we wanted to accomplish. The full Moon is an exuberant time of new possibilities when we must trust our intuition and recognize that we now have an opportunity to "go for it!" 1. Take Action on Our Plans. If we've been making any important plans, the full Moon is a time when we can turn our dreams into tangible reality. We now have an opportunity to make a fresh start whether it's taking a class to improve ourselves or telling a loved one we're ready for a commitment. We may decide to finally buy the dream house we've contemplated for so long. Some of us realize that being of service to others and volunteering is what we need to do to make our hearts whole. This is the time to commit to finally doing it. 2. Try Something that Failed - Again. We all try things and experience failure. A negative experience can discourage us from ever trying something again. One single person says, "I tried meeting someone on an Internet dating site and it never worked out." The full Moon is your opportunity to give it another chance for a more successful result. Another person says, "I went to the opera and didn't enjoy it." If that person tries the opera again, they may have a whole new positive experience. 3. Set a New Goal. Often we commit to a goal and fall far short of reaching it. The full Moon is the perfect time to adjust our goals and try a new approach to reaching it, so that we can experience success. If our goal is to play tennis but we feel uncoordinated, now we have the ability to realize that taking lessons can help us succeed. If we say, "I am a lousy cook," we recognize that we can seek help from someone who is a great cook. If we are not an involved parent, we can find a special activity to enjoy with our children, and commit to doing it with them - once a week. 4. Look for a Climax. Sometimes our lives feel like we are actors in a television series. We go through are daily lives with each day being a new episode. Eventually, the plot points are pulled together and we can see what it all means. We see the culmination of what we've imagined and worked toward for a long time. If we've pursued our goals and dreams, during the full Moon, we can see our destiny more clearly. 5. Celebrate with Friends. The full Moon is an ideal time to socialize, be with friends or even throw a party. We feel the exuberance to be with people we love. It's a time when we are especially disposed to share the joy of our life and good fortune with others. The people we connect with during this time may now become meaningful in our life. But keep in mind, that because of the Moon's energy, it can be a time of intense emotions when we may finally get in touch with what we feel. This can be especially good if we've been in "our heads," too much. While the full Moon is an exuberant time of new possibilities, it's also a time of great intensity and strong feelings. In fact, emotions can run high during full Moon, which is why the police tend to be out in greater numbers because crazy people tend to come out of the woodwork and accidents and violence are in abundance. It's also a time when eerie creatures have been known to come out late at night. 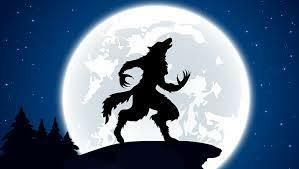 Old superstition says that when the full moon crests in the sky, werewolves come out into the night. It is said, "Even a man who is pure in heart and says his prayers by night may become a wolf when the summer moon is full and bright." So, if you are among the superstitious, make sure to bring a silver stake with you for protection, if you take a midnight walk on July 19. But for the rest of us who go through life unconcerned about werewolves, the full Moon is really our opportunity to move forward and take the next step toward fulfilling our destiny. The full Moon on July 19th is truly an excellent day to move along in our journey. But there is nothing wrong with looking up at the moon and giving a happy howl to express our gratefulness for all that we've already accomplished. Report: Your Horoscope & Future in 2016-17. If you want to learn about your unique personality, strengths, weaknesses and talents you were born with, order your: Personal Horoscope Report. It includes a copy of your birth chart.